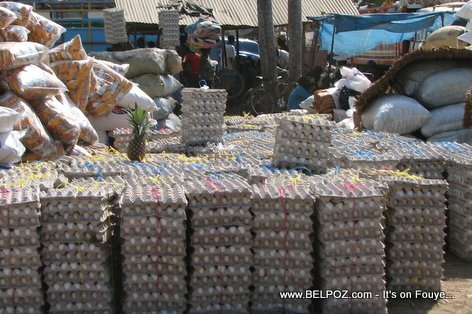 What do you think about this HUGE reduction of egg imports into Haiti an the OBVIOUS boost of the "Production Nationale" in Haiti? Are you an individual businessman or a organisation that wishes to expand in business ? ?, we offer financial instrument such as BGs, SBLCs, MTNs, LCs, CDs and others on lease and sales at a rate of (3 + 0.5 + X)% of the face value and reasonable conditions from a genuine provider. You are at liberty to engage our leased facilities into trade programs as well as in signatory project(s) such as Aviation, Agriculture, Petroleum, Telecommunication and any other project(s) etc.With our financial/bank instrument you can establish line of credit with your bank and/or secure loan for your projects in which our bank instrument will serve collateral in your bank to fund your project. I am so glad we don't have to use other country products anymore. The ideal commercial relationship between countries is one where there is balanced trade. This rarely occurs because countries specialize in certain things. If that is the case, it means Haiti is producing a lot MORE eggs these days to meet demands..."
Imports from DR decreased by 86.3 and he immediately Assumes that it's because Haiti is producing more eggs. Prove it! See, you Haitians will have to learn that out there in the real world people prefer to be presented with Facts, not Speculations. It will take more than tractors, trucks, water, etc. To make the Dominican Republic and USA cry blood.